With over twenty years in the industry, Prop Arc Entertainment provides a personal, professional, cheese-free touch with an emphasis on high quality customer service and attention to detail. Our small staff of experienced professional Disc Jockeys will coordinate your event in the style and format of your choice. Learn more about us. Just want to say thank you so much for the amazing wedding. The ceremony was beautifully done and the reception was amazing. 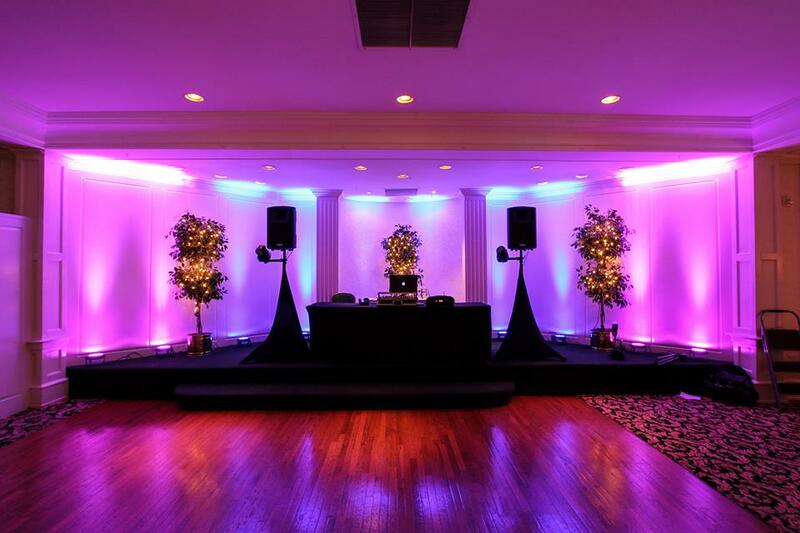 The up-lighting really added that romantic atmosphere, and transformed a plain room into something amazing. They say they are dj's but they do so much more than just that. John really made sure everything ran smoothly so that I was able to enjoy my own wedding without worrying. And if I had to do it all over again I would not change anything. I can't think of any areas for improvement because everything was absolutely great! John was a great DJ and I got so many compliments for hiring him. He was so very professional and friendly, and even offered a helping hand (which was very much appreciated)! The music selection was great and his announcements were very well done. Overall, I think Prop Arc Entertainment is worth every penny and I would recommend them to everyone!